Felix Brewer is not exactly what you would call an ethical businessman. Though some might frown on his ethics, his works has enabled his family to have a quite comfortable life. His wife, Bambi, who Felix met at a Valentine’s Day dance years before, has given him three beautiful daughters. He even has enough money to keep his mistress, the former dancer Julie Saxony, happy. When Felix is convicted and jail is imminent that is when After I’m Gone by Laura Lippman really gets started. Felix decides to flee before he can begin serving time, and his decision leaves a wake of misery behind it. Is he alive and living it up somewhere? Will he send for Bambi or Julie to join him? Ten years passes, and when Julie Saxony is murdered ten years after Felix leaves, a retired detective tries to get to the bottom of the story. Roberto “Sandy” Sanchez, is working as a consultant for the police department when the Julie Saxony case catches his attention. Sandy, who has suffered losses of his own, tries to pin down the complicated lives of each member of the Brewer family and how each has learned to cope with Felix’s abandonment. As he gets closer to solving the mystery of Julie’s disappearance, he also comes to terms with his own past. I would not call After I’m Gone a mystery so much as I would call it a family drama. While the mystery of what happened to Julie is a thread of the novel, far more important is the effect that Felix’s leaving had upon his family. Each of the Brewer women is affected by this abandonment and betrayal. Bambi, left financially strapped by Felix, tries to hold her family together and to reassure herself of her significance in her husband’s life. 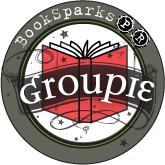 The three daughters try to make sense of an adulterous father who left them without looking back. After I’m Gone was not at all the book that I was expecting it to be. While I concede it was well written, the characters seemed to go nowhere for me. I think this is because of the frequent changes in timeline and character point of view. I never did get the daughters straight, and I think I ended up with reader’s whiplash from the back and forth of the timeline. Though we did not hear from Felix for most of the novel, I felt that some input from him would have made the story better. I did not care much about these people and though I felt as though there were some points to be made about keeping secrets, family and the roles within it, and integrity, I just was too confused and uninterested to care much. 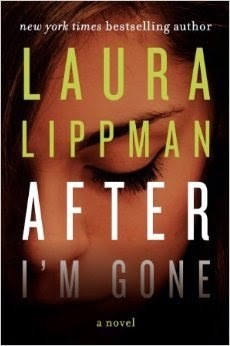 I have read other Laura Lippman books that were awesome, but After I’m Gone was a pass for me.